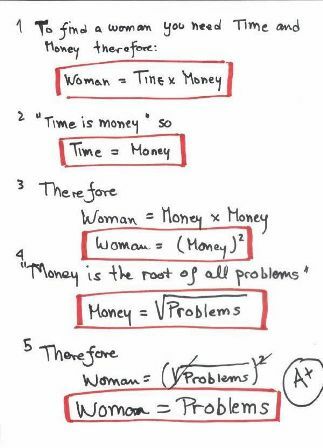 Since we’re in the maths mood, here’s some ‘relationship maths’. Ok ladies, I apologise in advance for any political incorrectness here, but I thought it was rather clever. The teacher gave it an A+ so it can’t be all that bad.